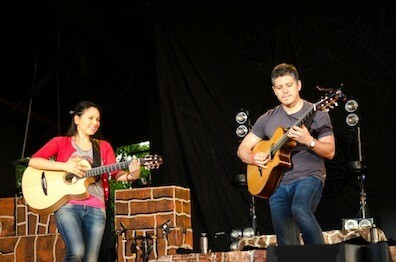 As the sun began to set, Rodrigo y Gabriela quietly walked onstage and began to play without saying a word. They started the show with a song in their signature Spanish acoustic-guitar style, which features powerful, thrilling guitar riffs. The song transitioned dynamically from loud and aggressive to soft and delicate in a matter of seconds -- the perfect introduction to an incredible performance. The duo played “Orion” after. The song had a bit of a Metallica feel to it, and even borrows riffs from “Enter Sandman.” Considering Rodrigo Sanchez and Gabriela Quintero are fans of Metallica and used to be part of the heavy-metal band Tierra Acida, it wasn’t out of the ordinary. 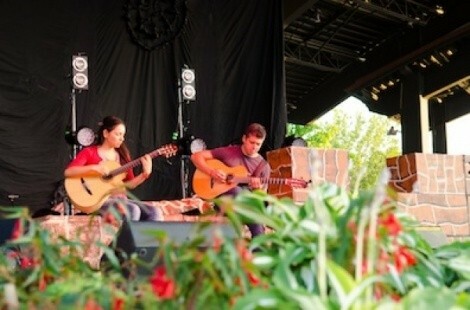 Finally, Gabriela addressed the crowd, thanking everyone and saying she was grateful to play at such a beautiful venue. She also said, “We’re going to play for you tonight a bit of the new material; we’re also going to play from the Rodrigo y Gabriela album and the 11:11 album.” As soon as Gabriella mentioned the words "new material," the crowd burst into applause. The song that followed was softer, and a tad slower. It was beautiful to listen to, and equally beautiful to watch Gabriela work the frets, her fingers moving rapidly all over the guitar. Equally impressive was watching her simultaneously hit the guitar, providing the band's percussion. Her extraordinary skill was displayed for all to see on a large screen that streamed real-time video. Judging from the crowd’s reaction, it was clear they loved every minute of the new material. Everyone was standing and clapping, moving to the music; others were dancing their hearts out, their souls moved. Shortly after, Rodrigo addressed the crowd, saying they are going to begin recording in September, and cheers from the crowd followed. Afterward, the duo burst into a song that blended their traditional style with funk and '60s rock & roll. Then, Rodrigo launched into a dynamic solo, which was beyond impressive and proved without question that he is a master of the guitar. 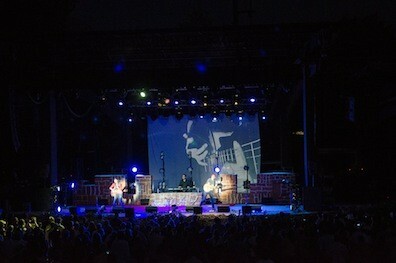 The duo played song after song that blended into one another, with new material layered in. They closed the show with "Tamacun," one of their most popular songs, and the crowd just exploded. It’s hard to find a band that plays true to their sound live, but it is beyond rare to find a band that sounds better live than their recorded material. 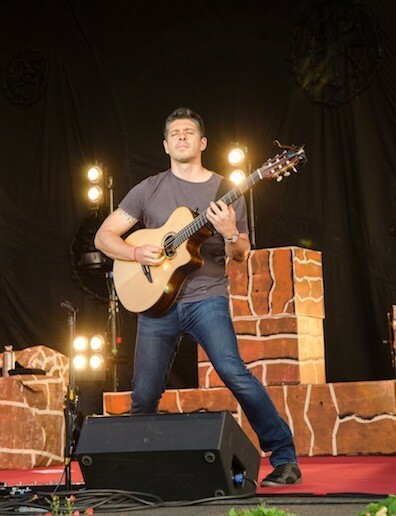 Rodrigo y Gabriela's performance proved they bring an energy to the stage that cannot be captured through audio recording.